Ball pools are great places for children to have fun, learn to relax and are well known for their therapeutic effects when added to a special needs multi-sensory environment. Colours bring the element of wonder, fantasy and joy in the lives of children. 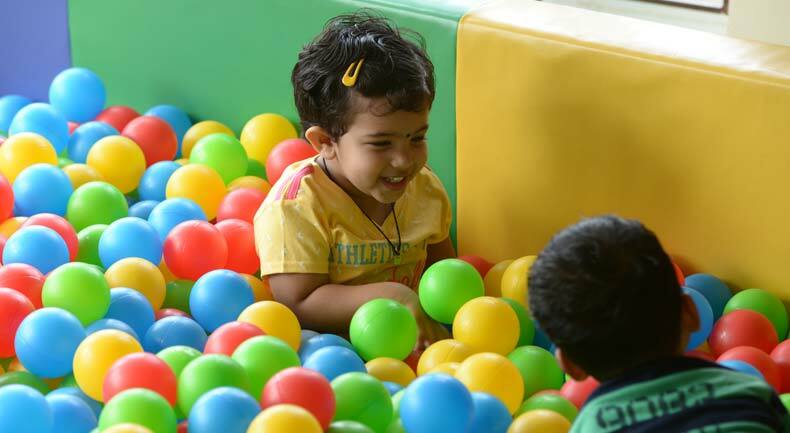 Amidst thousands of colorful balls in the ball pool at Angan, your little ones unleash their imagination and through merriment harness their skills of visual, auditory tactile and sensorimotor skills. The balls also massage the entire body, provide buoyant support, deep-pressure sensation and encourage relaxation which makes Ball pools a huge favourite with kids.